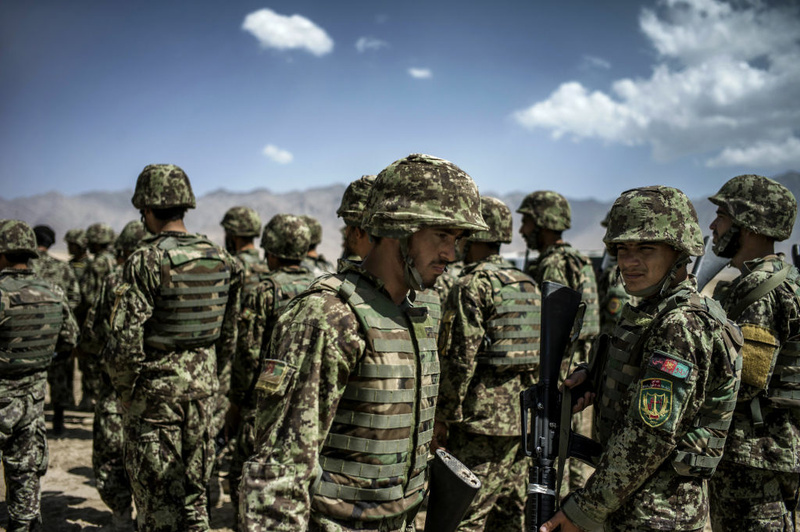 Afghan National Army (ANA) soldiers take part in an exercise under the supervision of French soldiers, on September 25, 2012, in Kabul. France is the fifth largest contributor to NATO's International Security Assistance Force (ISAF), which is due to pull out the vast majority of its 130,000 troops by the end of 2014. Enlistment is low and desertion is high, so much so that the army has to replace a third of its force each year. For more on the challenges the army is now facing, we're joined by New York Times reporter Rod Nordland.